Showing results by narrator "Melissa Cady D.O"
Narrated by: Melissa Cady D.O. 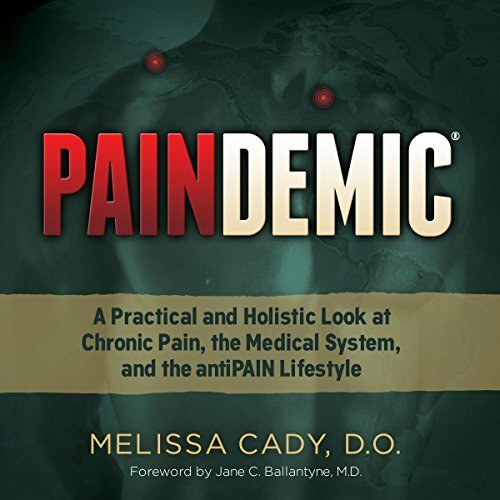 The United States is the most advanced society in the world, yet the majority of pain medications, procedures, and surgeries are not solving this paindemic. Paindemic will open your eyes to what you should know. Too many unnecessary and risky interventions are being done, with little benefit and at great expense. It's time to gain a better perspective to guide you down a more rational path to address and improve chronic pain, even low-back pain. Ignorance is not bliss. What you don't know about your pain could hurt you.